I can’t believe that I have reached the final new folly description in the garden blog. I have never run a marathon but I can imagine as one approaches the finish line, a mix of exhaustion, euphoria and anticipation surges through one’s veins. This about sums up my emotional state as April 1st approaches. Being a gardener connects one to “real time”. We can plan all we want but Mother Nature has the final word. 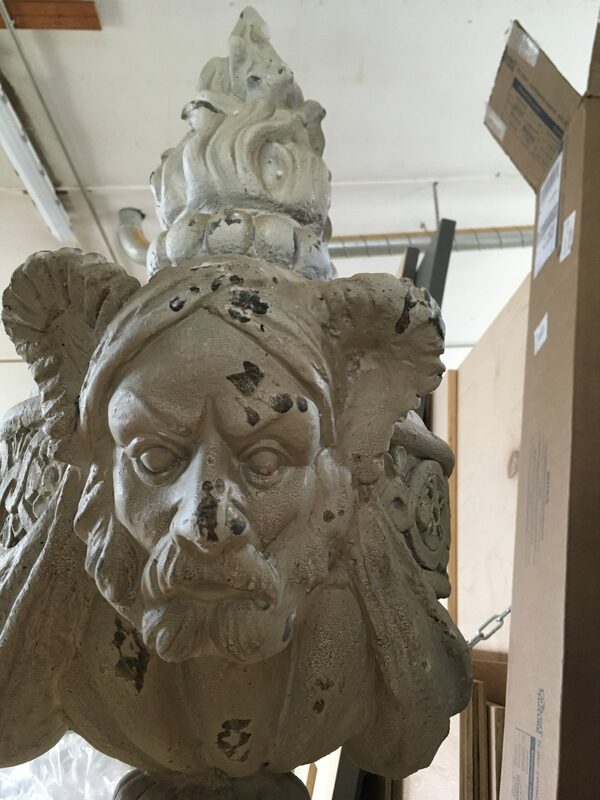 One thing that I really love about the garden department at Winterthur is that we know how to roll with the punches. As I type this, snow and sleet tap at my window screen. Winter’s last hurrah (hopefully) but not what I had planned. As the forecast waffled back and forth then solidified to a pretty big storm, I strangely found a sense of relief. I am not sure why, as I would have thought just the opposite. I think that I just let it go. The idea for the Needle’s Eye came from the folly of the same name in Wentworth, South Yorkshire England. 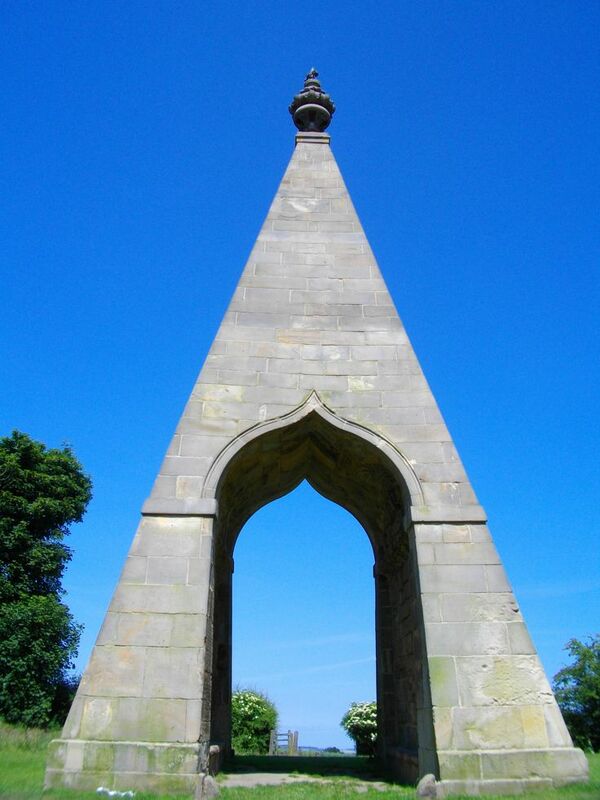 At 46′ tall, this sandstone pyramid, topped with a funerary urn marks the end of a allee. John Carr was commissioned to build this structure in response to a bet; the 2nd Marquis of Rockingham wagered that he could drive his horse drawn carriage through the ogee door. Originally, the Winterthur version of this folly was to be placed near the front pond as you enter the estate, announcing the folly exhibition to guests. Further discussion lead to the concept of a boardwalk leading to it out in the water, then the final progression was “what happens if we float it out in the water?” Now at this point I should say that my degree is in horticulture–as are many of the folks in my department. Had it been in engineering, I might not have been so excited about this floating folly. Ignorance is bliss. A Photoshop of The Needle’s Eye on the pond. Initial discussion of the framework of this folly was simple. Stick built frame, plywood siding and of course all materials and finishes being weather and water resistant. A faux finish would mimic the look of the sandstone. We tried to gauge the appropriate height for our folly and used what was on hand; varying lengths of pole saws and extensions. The term I love for problem solving by using what is available at your disposal is “applying appropriate technology”. 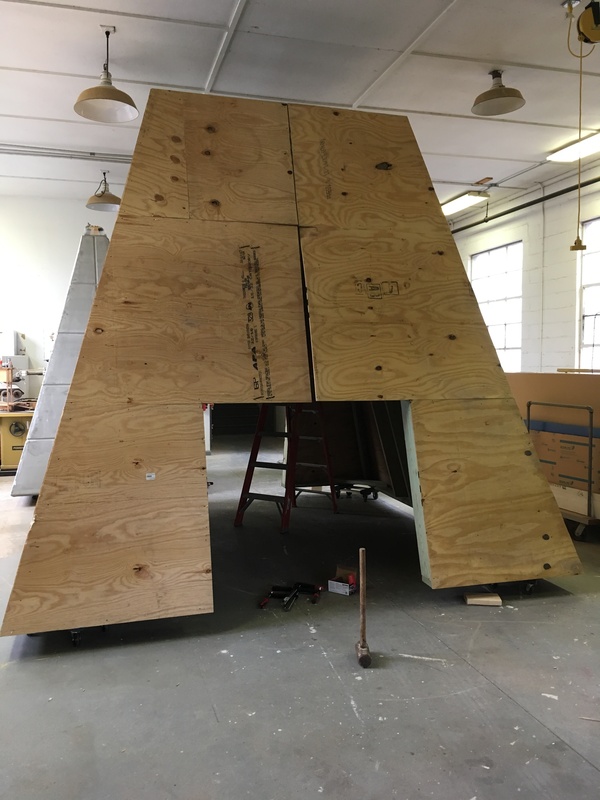 Through the “high-tech” use of our pole saws, we determined that our folly will be about half the size of the original and at 23′, it will still make a statement. 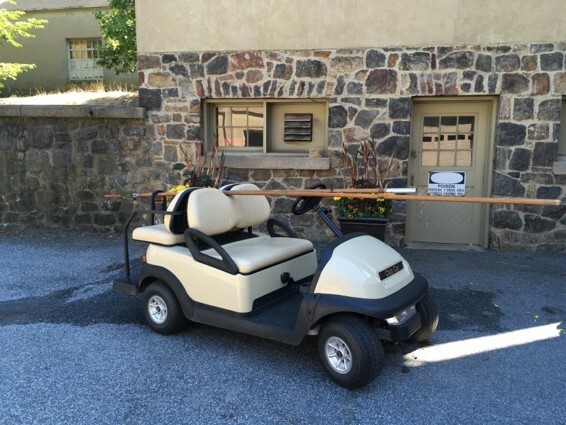 Golf cart with pole saws. Let the jousting begin! The planning for the floatation aspect of this folly ensued and we looked to the use of a floating dock for inspiration. 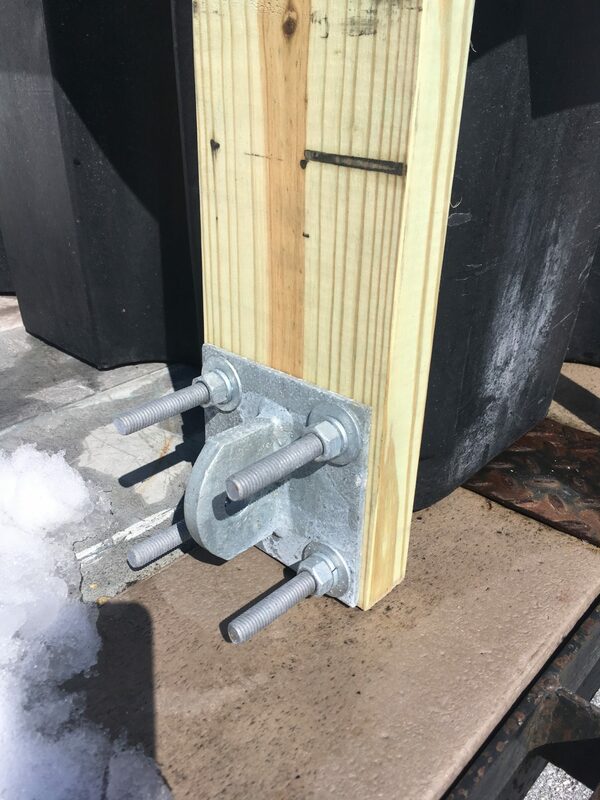 Floating docks are used in marinas and waterfronts so in theory, if we calculated the weight correctly and tethered the folly, we could float the Needle’s Eye on the water. Sounds plausible, right? Planning continued on this folly but with no resulting action. An early January snowfall came along with the news that we were going to have to find a new builder for the folly. Pulling the quickest about-face that we could, we spoke with our carpenters at Winterthur about the project but also had to considered the realities of their time commitments with projects already slated. 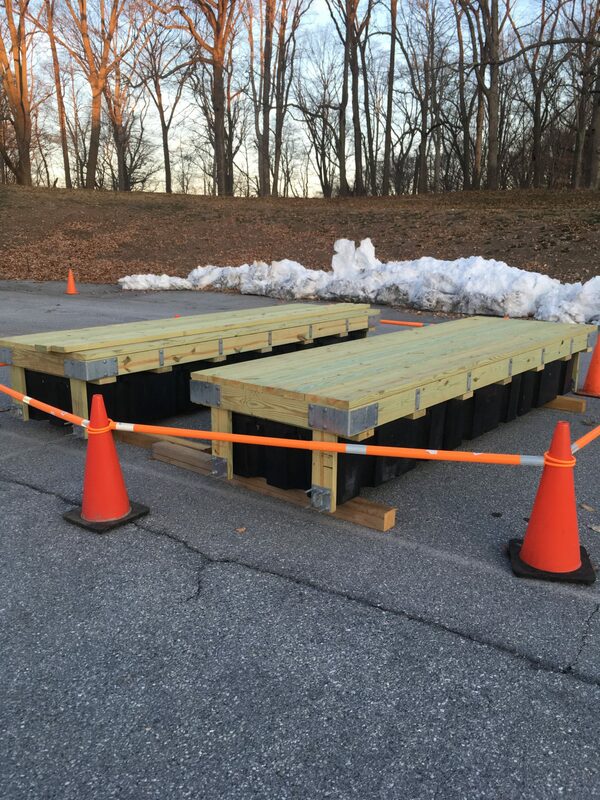 We had discussions with some outside contractors but the director of the garden, Chris Strand, through the powers of the internet, found Tony Caulfield of Caulfield Associates who works in creating floating docks and fortunately for us, his work schedule was light due to the off season. 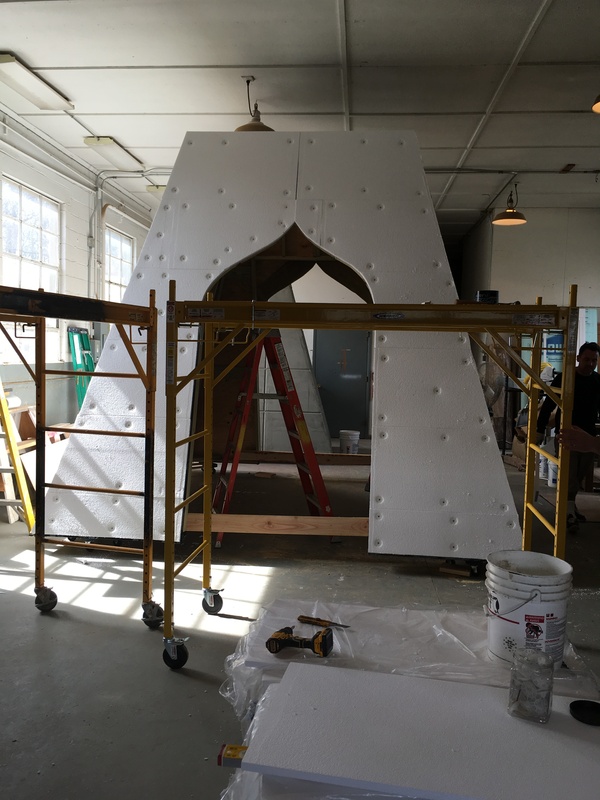 He could create the entire folly but we were unsure of his team’s faux finishing skills so we found a compromise; the structure would be built off site and then finished on site by our carpenters who we knew could pull off the finish. And so it began. 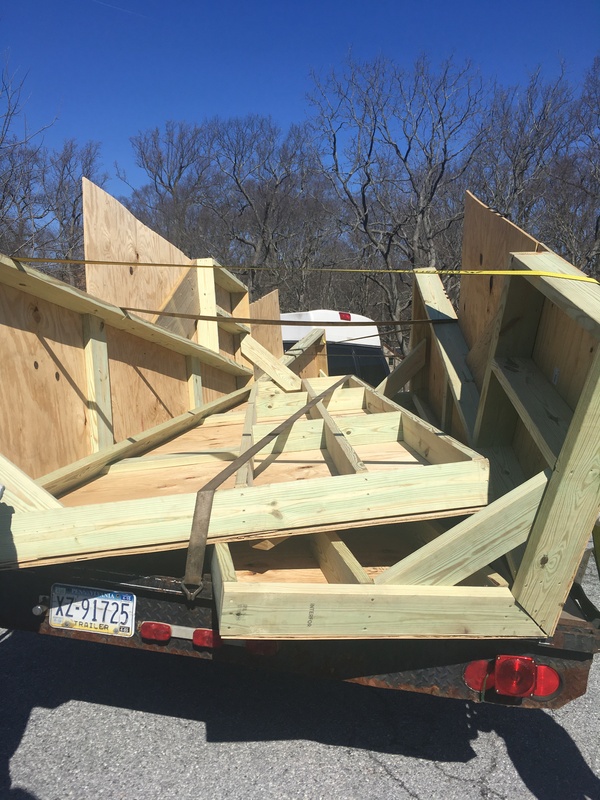 Our carpenters, Benny, Carl & Terry (along with masons John and Dan) figured out the logistics of the finish. 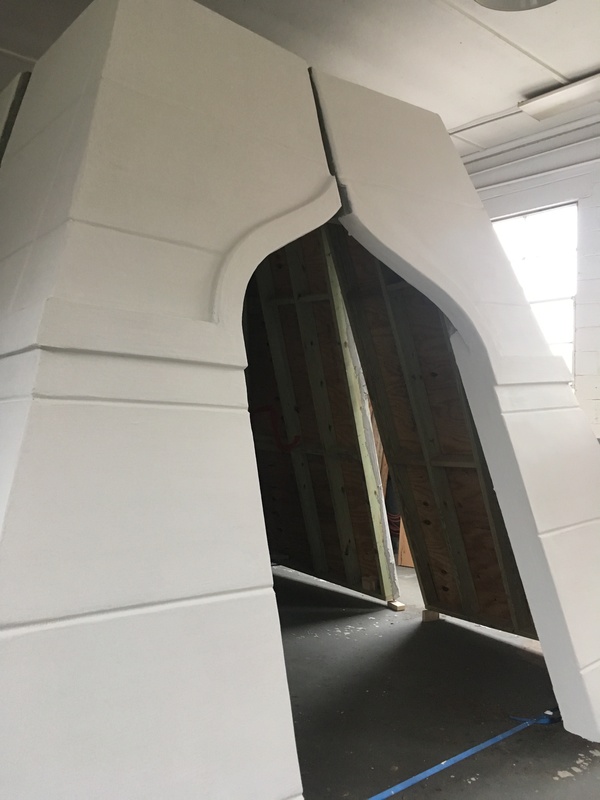 Using the Dryvit siding system, they first place on fiberglass meshing then a brown coat, a finish layer, then a paint coat to mimic the original. 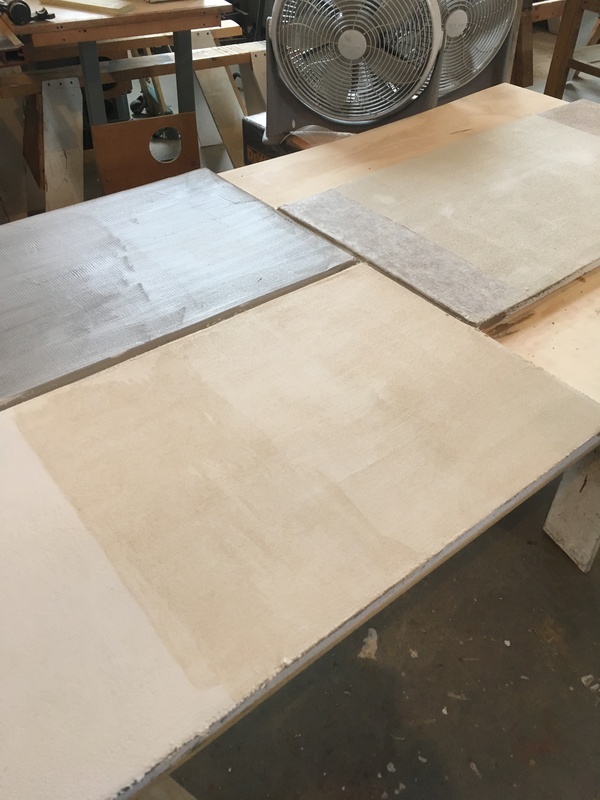 They gave us choices for the finish and we chose the one closest to a limestone coloring. The top of the pyramid was the first to arrive and the gang got to it. Working weekends to fit it into the schedule, we were greeted to the brown coat on the Monday morning. Delivery of the top of the Needle’s Eye. 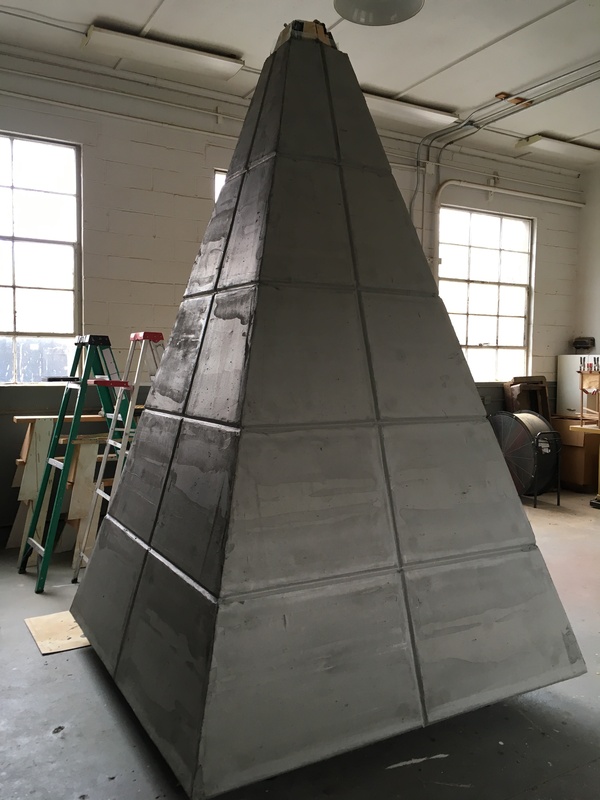 The pyramid top comes equipped with a chain to be able to place it on the base. 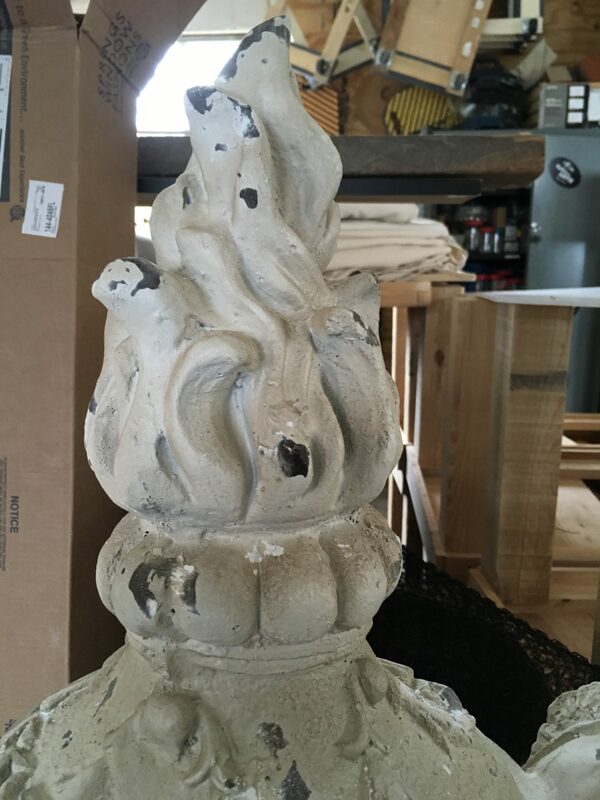 The top will then be fitted with the finial. Easy-peasey! 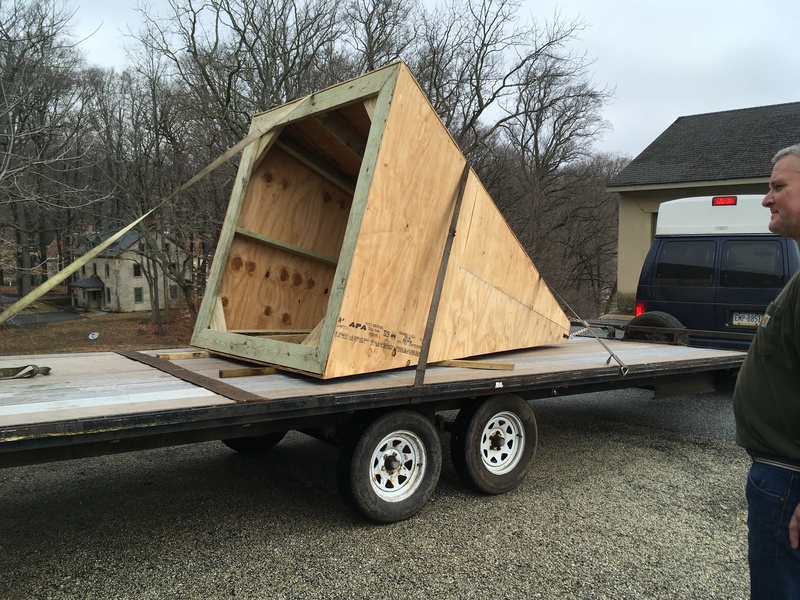 The base was the next section to arrive. It came in 4 pieces and was assembled on site. Delivery of the base parts. When pieced together, the base had a rectangular opening. The carpenters had to then artfully cut an ogee opening on both sides. 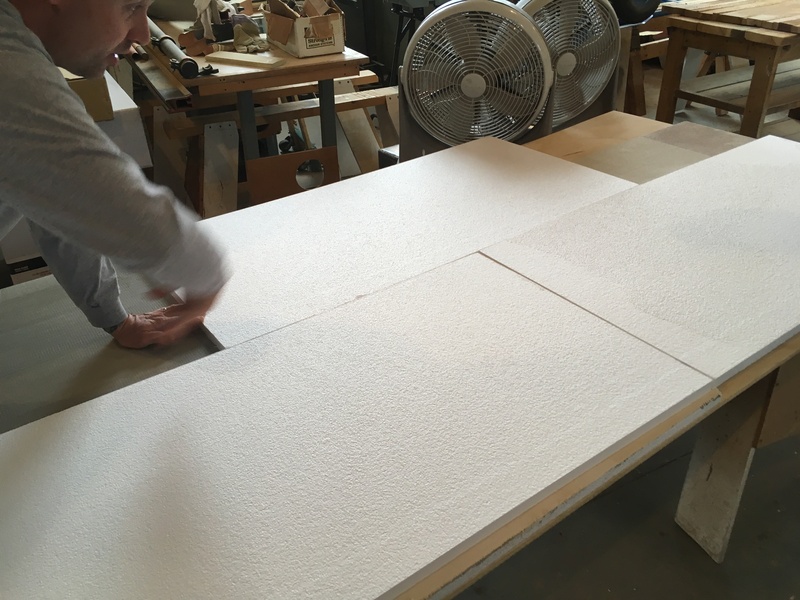 The foam “blocks” had to be cut and fitted and then the outline of the ogee enhanced. Detailing of Ogee and base. The base had to then be separated again yet held upright by straps, to allow for the finished coat to cure. Second coat. Base separated for drying the seams. The final delivery, which proceeded our second Nor’easter snowfall, was the floatation system. 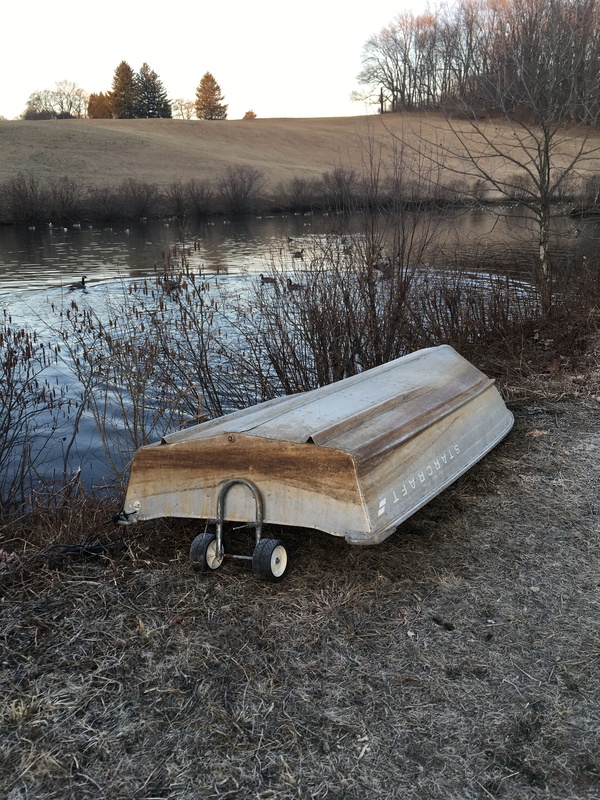 Through many design discussions, we came to the conclusion of making it two floating docks or pontoons that would then be tied together underwater for extra stability. 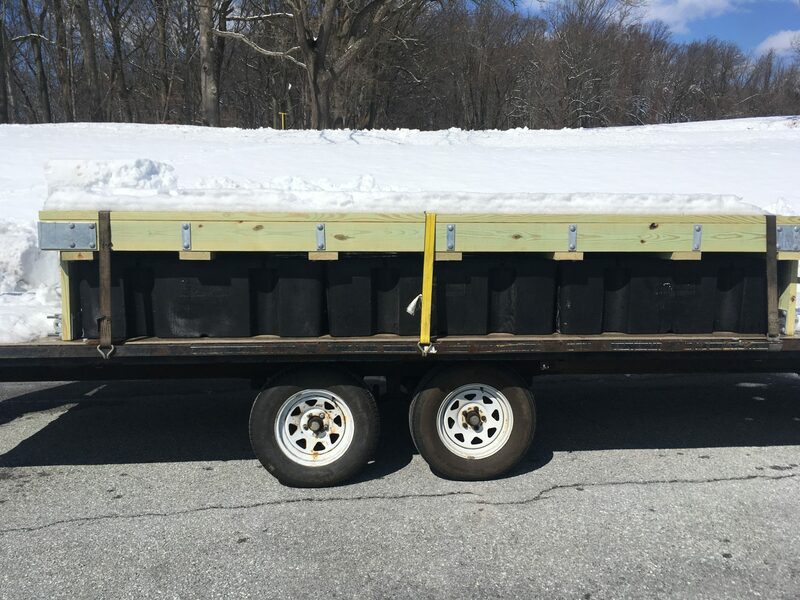 Delivery of docks complete with the previous night’s snow! Speaking of docks, there have been many conversations with in-house and outside engineers over how to keep this folly in place. Anchors? Ballast? Tethering? I have to admit here, that Chris has taken the reigns of this folly while I tended the other 6 “folly fires”. Chris sought the help of fellow garden department folks to help with the plan; enter Marlin, John and Kevin. Marlin cares for the natural lands at Winterthur including the ponds and Kevin and John are our arborists. You may question why arborists were brought in for a water project, but if you ever have watch skilled arborists work ropes to maneuver large limbs down to the ground, you’d know why! Chris held a meeting with the three of them to go over the logistics of the tethering. Not wanting to tempt fate with this statement, I trust in the abilities of these four people. 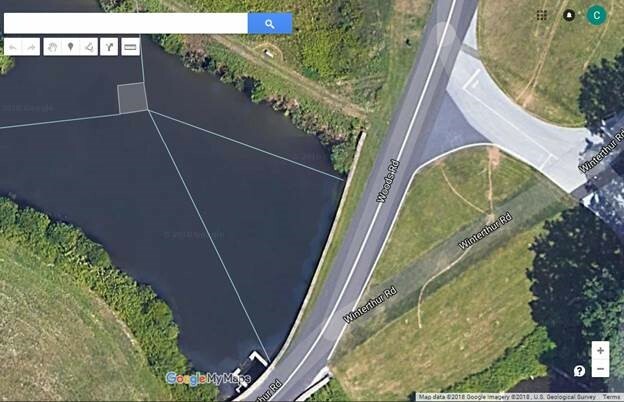 The ponds had to be lowered to enable the placement of the anchoring systems in the wall and on opposing shores. 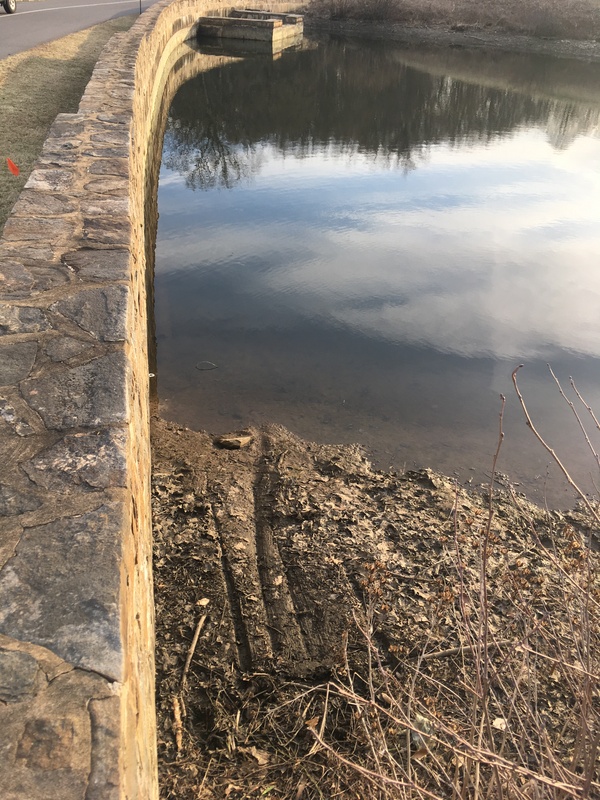 Pond lowered to place in anchoring points on shore. Row boat in place for securing the folly. So now the day of reckoning arrives. 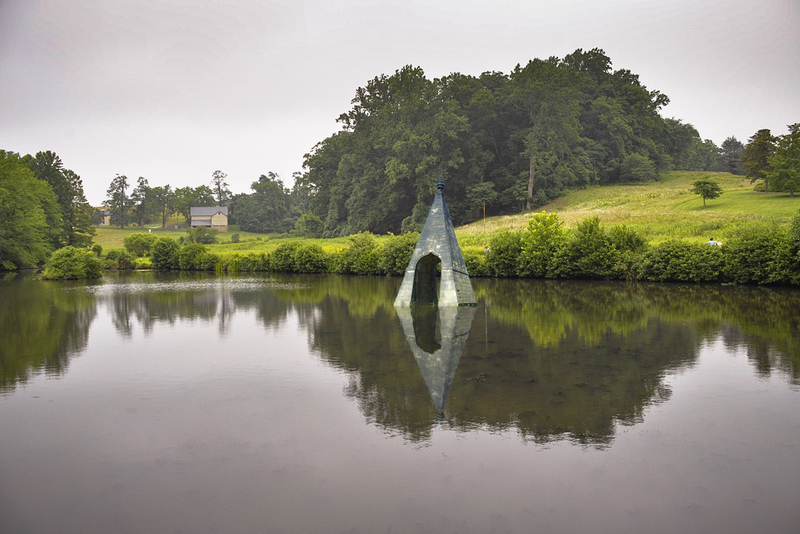 On Monday, Rich from Bob’s Crane Services will be set to task for placing not only the Needle’s Eye together and in the pond but also place the Mirrored Folly at the Pinetum’s edge. In preparation for Monday’s “launch”, Ben, Carl, Terry, John and Dan (plus a few extras, I am sure) will set the Needle’s Eye folly parts in place. 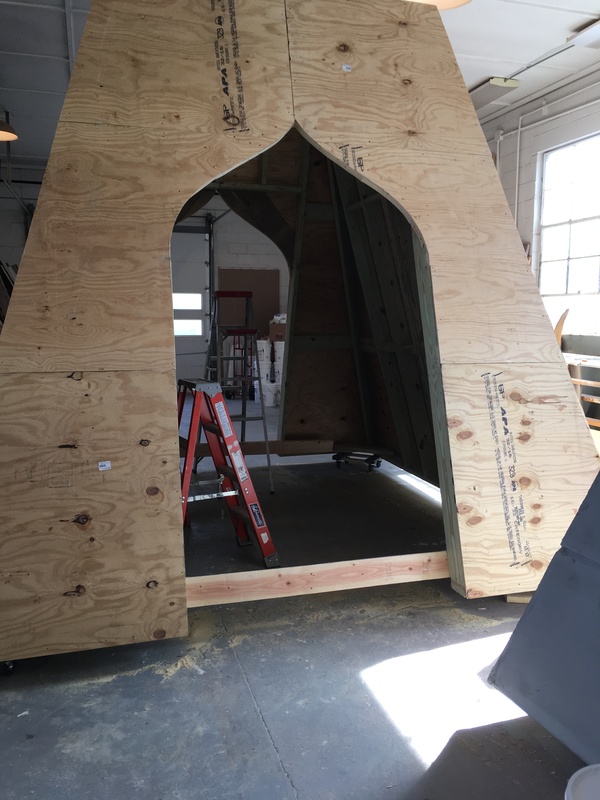 The crane will roll in early Monday morning—blocking the entrance into Winterthur, to set the base onto the pontoons and the pyramid top onto the base. 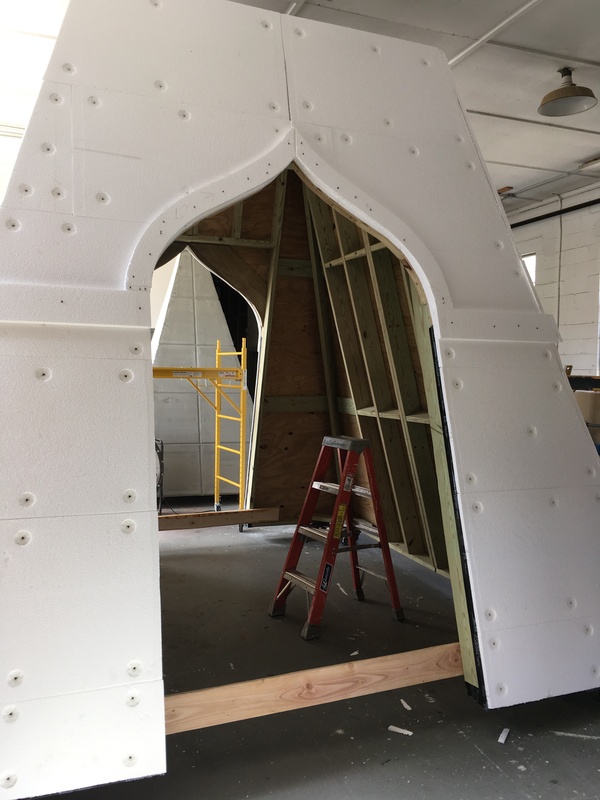 From there, the carpenters will attach and secure all of the parts to one another and the crane will move to Garden Lane to place the Mirrored Folly. We will break for lunch and then set up once again at the pond to set the finial onto the top of the Needle’s Eye and then launch the folly out to, well, pond. An initial tethering will occur with further cinching down the following day (by above stated “tethering crew”). Our version of the funerary urn. 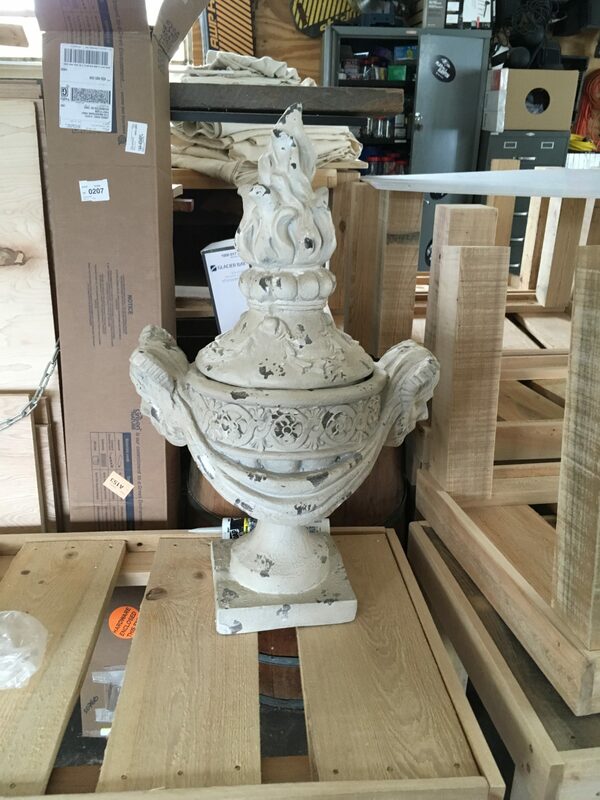 More urn detail–since it will be 23′ up in the air! This is a folly that has challenged us in ways different from the rest. It has tested us as far as our timeline is concerned and has taken us to a point of discomfort and ill-ease. It’s at those points where we may want to throw in the towel, because we are confronting the unknown and the unknown is scary. What I am more proud of than anything is (despite some sidebar grumbling I am sure) that when the chips were down we all drew strength from adversity to make this come together. 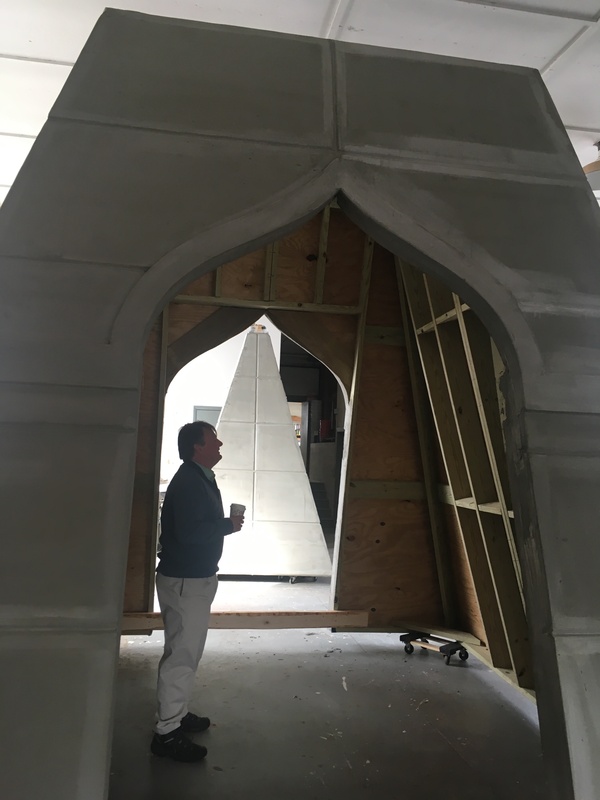 It will be the flagship folly that greets visitors as they come and go from the property and a reminder of making the challenging elements in our lives possible. Deep gratitude and thanks to all who made the Needle’s Eye and the entire Follies exhibition a reality! It’s so exciting and fascinating to to experience all the ups and downs of this project. We need to be reminded on a regular basis of why we continue to support all the work and dedication of the staff at Winterthur. It’s so easy to take everything we enjoy for granted. Thank you so much for the kind words and support, Laetitia!